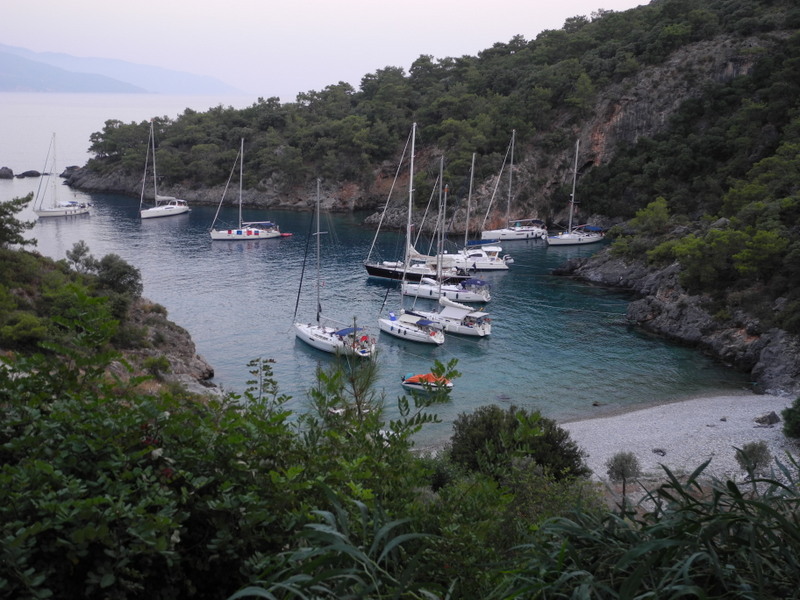 We left Olu Deniz and moved around the corner to Cold Water Bay. This is a beautiful protected small bay with a restaurant overlooking it. A dock master advises you where to drop your anchor and takes your stern line to prepared attachments on the low cliff. The bay gets its name from a cold spring that rises from the bottom at the back of the harbour. Absolutely beautiful. Diner at the restaurant was good 35TL /pp. This was probably the nicest setting of the trip. 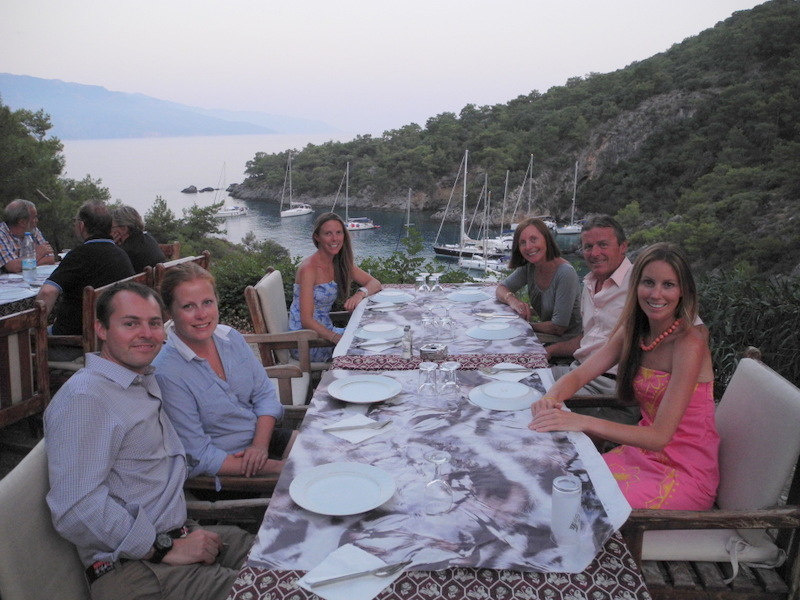 The following morning, the kids took the dinghy back to Olu Deniz and went para-gliding. They said the trip up the mountain in the van was a bit sketchy but the ride in tandem with a pro was great. US$95.